Planning your special day is a magical journey with our all-inclusive Riviera Maya wedding packages at Grand Velas. Our weddings packages are specially created to help you plan the perfect celebration, from a ceremony on our pristine beach to traditional Mayan ceremonies to spa ritual for the bride. 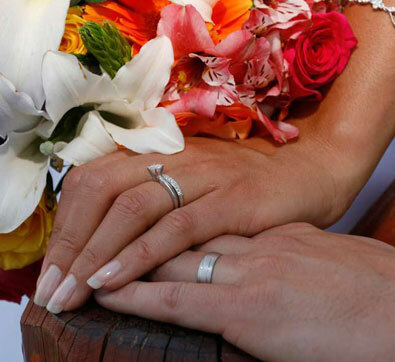 Experience joyous weddings in Riviera Maya, where love blossoms on Mexico's Caribbean coast. Your once-in-a-lifetime event deserves a sacred and spiritual venue in the Riviera Maya - a land blessed by gods. For more information, contact our wedding coordinator or visit our Special Wedding Page! Restrictions apply. Ingredients are subject to change without previous notice. Important Wedding Information - Passports are required for both legal and spiritual ceremonies. Grand Class Suite Ocean Front only permits children 12 years or older. In order to honor this benefit do not include one of the two children in your party´s quote (passport required at check in). Legal ceremonies may take place at any desired location and are guided by a district judge authorized by the Mexican government to issue a marriage certificate valid for legal purposes in Mexico only. In order to have your marriage certificate deemed valid in a foreign country, it must be translated and legally stamped. One of the requirements for a legal wedding in Mexico is a blood test that must take place at least 3 business days before the wedding. Symbolic ceremonies may take place at any desired location and are guided by a non-denominational minister who will give a lecture about love. This ceremony can be performed in English. The minister will issue a certificate of non-legal value. For more information please contact our wedding coordinator or click here to visit our website dedicated to dream weddings location for more information, tips and photos.